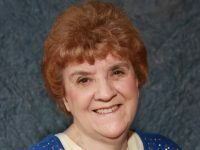 Today we have a guest post from a prolific romance and cozy mystery writer, Karen Rose Smith. Karen is also an animal lover. Caprice De Luca, home-stager extraordinaire, loves her big Italian family--parents, two sisters, brother and Nana. She likes to cook, wears vintage fashion and is a retro music fan. But most of all, she is an animal lover. There's a lot of me in Caprice. But never more so than when she's taking care of stray animals and finding them homes. 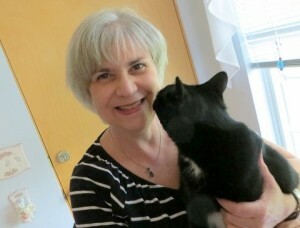 Thirteen years ago, I brought home a very sick black kitten from a friend's family farm. Ebbie and I bonded those first nights when I stayed up with her, applying acupressure to her sinuses so she could breathe. She's been my constant companion ever since, more like a sister than a pet. When we brought her half-sister London home to live with us a few months later, my husband and I thought two cats were enough! Then two summers ago, we found Zoie Joy in a bush in our backyard. The temperature was 100 degrees. She was dehydrated, starved and needed love and care. She weighed 1½ pounds. She's the baby of the house and lives up to her middle name every day. Because I worried about her mom in that big world without care, we> began leaving food in feral feeders. That brought a sweet yellow tabby to our door who needed love, care, and medical assistance. Lance was only with us a short while, but he wrapped himself around our hearts and gave us an appreciation for living each day to its fullest. Animals are part of what I write because they're a huge part of my life. I care for them, but they care for me too. Their unconditional love and affection brightens my days and brings comfort when arthritis pain keeps me awake at night. After writing romance for over twenty years, I'm enjoying branching out into mystery where I can delve into everyone's relationships as well as create an intriguing puzzle. Including my love of animals into my storylines invests my heart in an integral way that I believe brings a core honesty to my novels. In STAGED TO DEATH, the first Caprice De Luca mystery, you will meet her long haired calico cat Sophia and Dylan--a stray part Shiztu and part Pomeranian who is adopted by Caprice's best friend. Two yellow tabby kittens also make an appearance. In DEADLY DECOR—book 2, Caprice takes in a pregnant stray cocker spaniel. In book 3, GILT BY ASSOCIATION—February 2015—you'll meet Lady, a cocker who becomes Caprice's sidekick, as well as Valentine—a gray tabby kitten she finds on a cold winter night in her backyard. I love to hear about animal rescue stories. You can share them with me anytime on my Facebook page KarenRoseSmithBooks, on Twitter @karenrosesmith or through email at my websites www.karenrosesmithmysteries.com and www.karenrosesmith.com. Where did they come from? Folks often schedule visits to Washington DC in the spring time to coincide with the blooming of their famous Cherry trees. Have you ever wondered just why Washington has so many cherry trees? 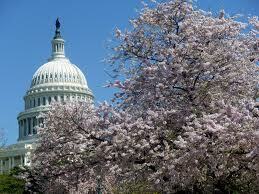 3000 Cherry Trees In January, 1910, Japan sent 2000 cherry trees to Washington as a good will gesture. Sadly, upon arrival, they were found to be diseased and infested with insects. To protect American growers, President William H. Taft ordered the trees burned. Letters from the Secretary of State to the Japanese Ambassador expressed deep regret to all concerned. Good will was maintained and in 1912, Japan again sent more than 3000 additional cherry trees from 12 different varieties to Washington D.C. Two thousand trees were planted on the White House grounds, and the remainder planted around the city and along the Potomac River from the Lincoln Memorial south toward Potomac Park. They grew and blossomed each spring to the delight of thousands of Washington visitors. War is Declared Shortly after the Pearl Harbor attack in December, 1941, four cherry trees were cut down in retaliation by vandals. Letters poured into the National Parks Commission, calling for “cutting all the Japanese trees down and replacing them with an American variety.” Throughout the rest of the war, in hopes of preventing future damage and ill will, the trees were no long called 'Japanese' cherry trees, but referred to as those ‘oriental flowering cherry trees.’ The National Cherry Blossom festival, an annual springtime event since 1935 was suspended and did not return until 1947. Cherry Blossom Festival At the Cherry Blossom festival, princesses and a queen are crowned. In 1957, a wealthy Japanese business woman donated a crown for the festival queen. It contains more than two pounds of gold and 1,585 pearls. The queen wears the famous piece for just a few moments when she is crowned. It is then replaced with a miniature crown of gold with a pearl topping each point. The queen wears this crown for the remainder of the evening and she keeps it as a momentum of the event. The Japanese government generously donated another 3,800 trees to Lady Bird Johnson in 1965. Mrs. Johnson and Mrs. Ryuji Takeuchi, wife of Japan’s ambassador reenacted the original planting ceremony of 1912. Cuttings from the Trees In 1982 and on several occasions since, cuttings from the original 1912 cherry trees were returned to Japan to replace trees destroyed during the war and when the course of a river destroyed a number of them. Where are We Now? Private funds were donated between 1986 and 1988 to replant another 676 trees to restore the trees to the original number. Between 1997 and 2011, cuttings from the surviving 1912 cherry trees were propagated to ensure preservation of the 1912 trees’ genetic lineage. These will be used in subsequent replacement plantings both in Washington and in Japan. Thus, the original 1912 gift will ensure a cycle of giving between Japan and the United States.